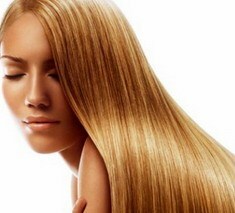 1) For healthy hair, you need a healthy scalp first. To reduce excess oil, put some witch hazel on a cotton ball and dab it around your hairline and part. Rinse with cool water. 2) For maximum volume, mix one egg yolk, a half cup of honey, two tablespoons of olive oil, and two ripe avocados in a bowl. Apply the mixture over your entire head until it’s hardened, then shampoo and condition as usual. 3) Are your locks dull and damaged from heat and overstyling? Try this trick: regular olive- or jojoba-oil masks. Brush a quarter cup of natural – not synthetic – oil through dry hair and leave it in for about an hour. Blow-dry the ends to help the oil run deeper into the hair, but avoid the roots – this could cause greasiness later on.